This amazing whipped body butter will leave your skin feeling fantastically silky and smooth. Handmade in Nelson, New Zealand from Natural ingredients and native Kawakawa. 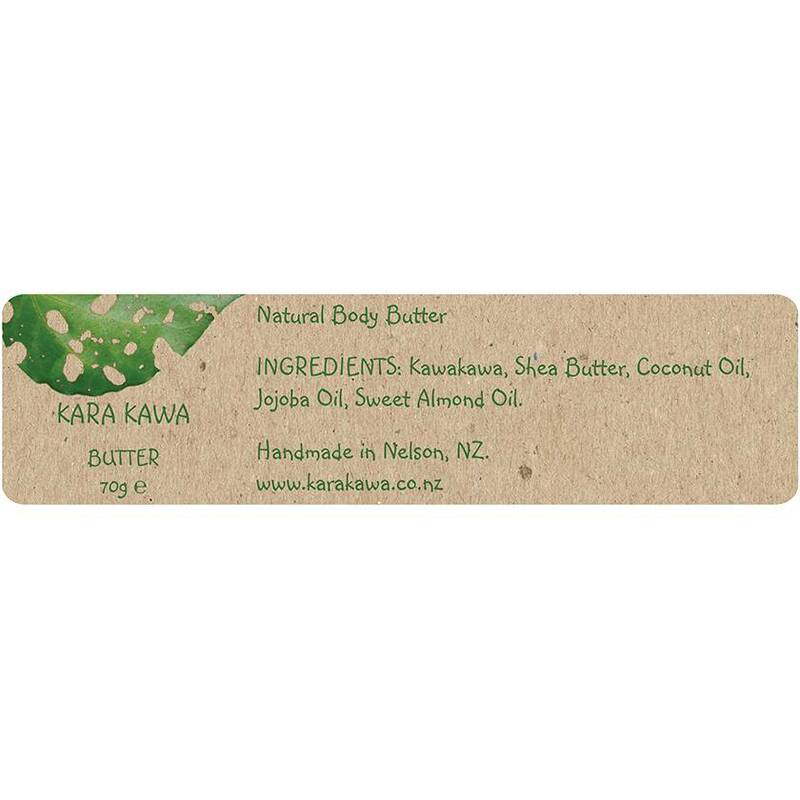 Kara Kawa Body Butter is a beautiful blend of Kawakawa infused Coconut Oil with Shea Butter, Jojoba Oil and Sweet Almond Oil. It helps to keep your skin nourished and replenished, therefore reducing dryness, itching, and repairing damaged skin. 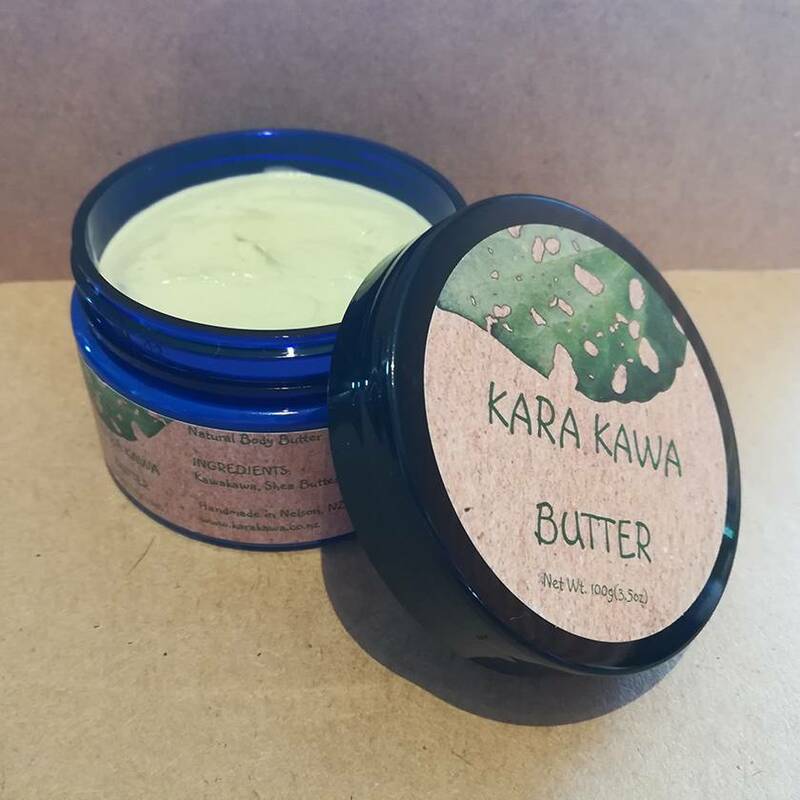 A great daily moisturiser for those suffering from eczema, psoriasis and dermatitis, due to the content of Kawakawa and natural vitamins that protect, moisturise and strengthen the skin. 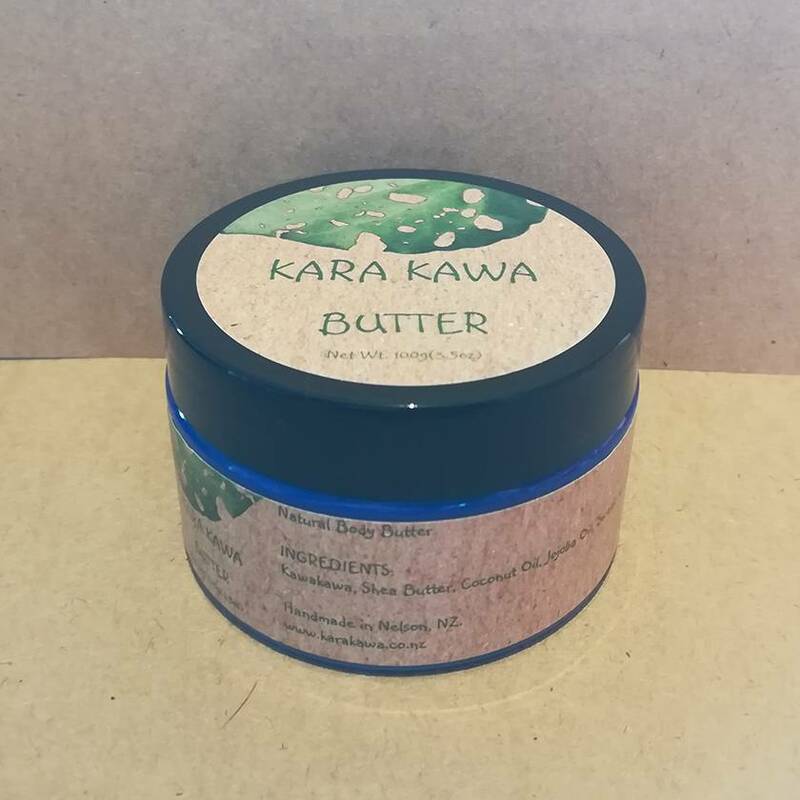 Kara Kawa Butter is an excellent full body moisturiser for daily use and all skin type because it is naturally rich in Vitamins A, D, E, and F, as well as fatty acids, zinc, proteins and more. And to help your skin to regenerate. Kara Kawa Butter Net Weight 70g. $1 off your next order for every tub returned. 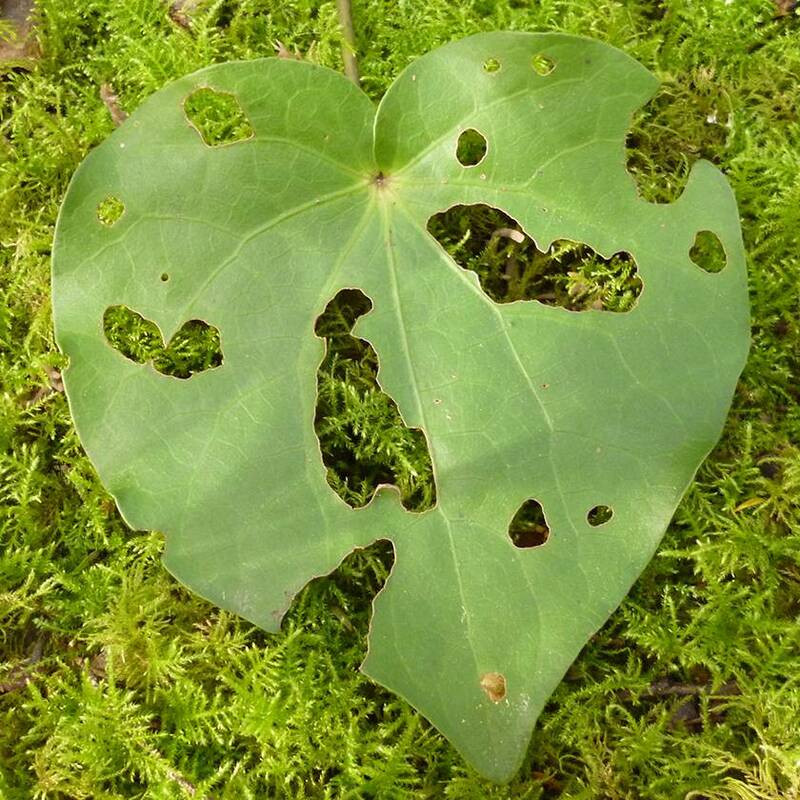 Handpicked native Kawakawa from the Marlborough Sounds. Apply a small amount of butter to clean, dry skin after showering or as needed. Native New Zealand Kawakawa Leaves picked in the Marlborough Sounds, Organic Naturally Refined Shea Butter, Cold Pressed Naturally Refined Coconut Oil, Cold Pressed Unrefined Jojoba Oil, Cold Pressed Unrefined Sweet Almond Oil. There are no warnings for Kara Kawa Butter. If you have highly reactive skin, please spot test first. Never double dip in your tub of butter, and always use clean hands to avoid cross contamination. Contact karakawa to enquire about payment or shipping options.